Lord of the Rings Pendant. Aragorn. 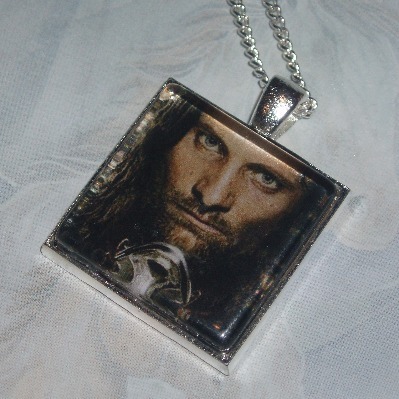 25mm handmade square glass cabochon in a silver plated setting featuring Aragorn, Ranger of the North, who becomes King Elessar Telcontar, played by Viggo Mortensen. Comes on a selection of chain lengths. Perfect gift for any Lord of the Rings fan.